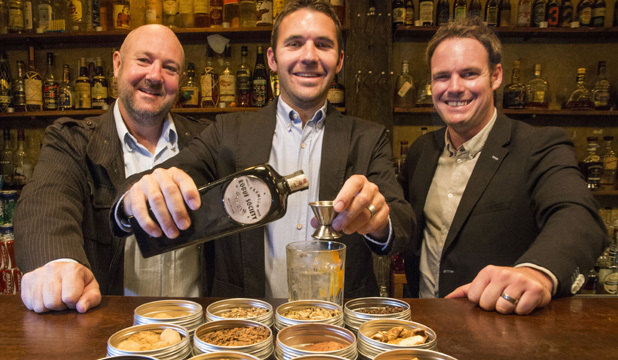 “…artisan gin distilleries began popping up in the past five years. The trend caught the eye of liquor marketers Mark Neal and Daniel McLaughlin, who, thoughtfully, noticed the need here for new gins. In the three years the pair spent talking to distillers and gin gurus in the UK, Australia, even the United States, they became fascinated by the old-school history of the spirit and the modern takes on the classic. It helped that they describe themselves a fanatical gin drinkers. 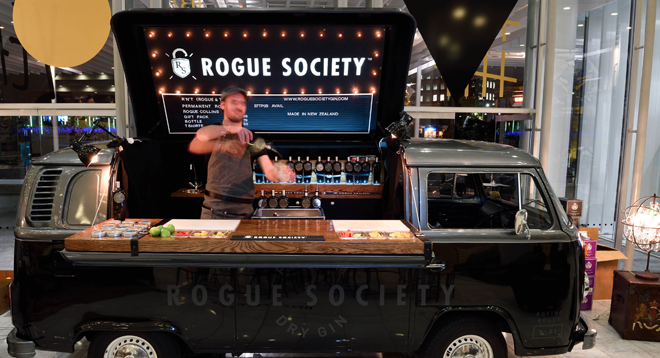 And last month they finally launched their Rogue Society gin to high end bars around the country. 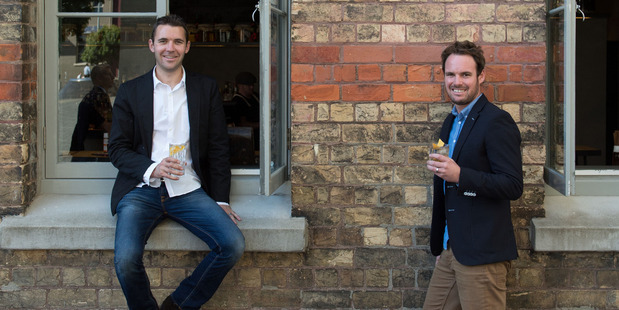 “Rogue Society founders Daniel Mclaughlin, Mark Neal and Richard Bourke have been working on developing their drink and the bottle for the past three years and believe they have finally got it right.